First built in 1905, German firm NSU went on to become one the nations most famous car producers. 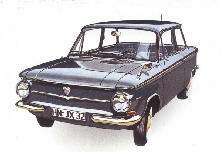 Early NSU cars were sold alongside the firms other products which included bicycles and motorcycles. From 1929 the firm merged with Fiat and continued to produce cars with the Italian company until the mid 1960's. 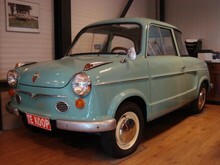 From 1961 NSU started to also produce its own designs without Fiat, most famous being the Wankel engined Ro80. 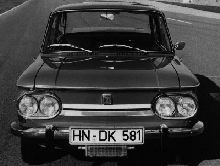 In 1969 Audi purchased NSU, manufacturing of the Ro80 continued with Audi until 1977.